I am a delayed griever. When I hear about a tragedy or death I don’t often cry right then. I feel numb. I tell my brain to spring into action as if to cue my emotions that something bad has happened. Almost two years ago a family in our homeschool co-op lost their son in a bike/car accident. I am a fixer, a problem-solver, an idea person. But, much to my dismay, I couldn’t fix, solve or improve this. I just wanted to make it better—to change what happened, to find a way to make the pain go away. I feared I would say something stupid as I tried to comfort…and I did. I tried meals, prayer, words, gifts. But I couldn’t fix it. My efforts felt small compared to the huge void this family was experiencing. But somehow these small things meant a great deal. How do you help walk someone through grief? My friend Susan B. Mead has written a book to help you find grace amidst the grief. Susan tells of the depths and heights that she’s walked through with loss and love. God has met her in amazing ways as she’s encountered Him in the hard. She offers a welcome hand to others that are hurting through this book. Susan’s incredible story will touch you and help point you to Jesus. Her genuine joy to help others radiates through the pages of this gift book. 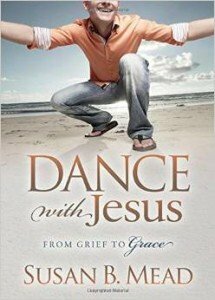 Read my full review of Dance with Jesus. Hi! I found you on the #RaRaLinkup! Sounds like a really good book, I think I will add it to my booklist! Thanks so much for sharing it. Blessings!! Thanks Tiffany. Susan B. Mead is a sweet soul. Katie, I am a delayed griever too and often, like you, something will trigger the memory and the grief will hit me all at once. 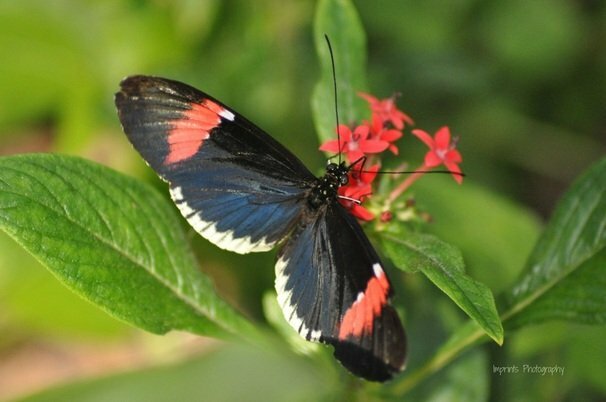 Thank you for sharing over at Susan’s place today. Beautiful, heart filled post. Blessed by your words. Thank you Abby. Triggers can be hard, but they can help us heal further as we process that grief that we have (often) buried. I know exactly what you mean–I’ve also had conversations with those who have suffered tragic loss, and they say that it’s so important to them that others continue to remember and share their stories of the good times long, long after the loss. Yes Anita- validation of the loss (now and in the future) can mean a great deal. We all need to learn to deal with grief in a good way. Grief comes in many packages and sizes. What I’m grieving today is from a mastectomy and I’m only 38. The loss of a loved one is different but it is still grief that we must go through. Praying right now Jeannette. Your faith and courage is an example to so many. May you find refuge under His wings as He cares for you- not just body, but soul too. Hi Katie!! I’ve heard so many wonderful things about this book, I can’t wait to read it for myself. I’m the same way when it comes to grief, I usually go numb first and then react after some time has past. It’s definitely something I’m trying to work on, I don’t like letting things build up. I agree Abby, letting things build up becomes hard to deal with for us and others. Sorry for your losses Rick. May God sustain you as you grieve. We all grieve in our different ways. I am a crier normally but sometimes I can be a delayed griever too. I need to check out Susan’s book. Yes, check out Susan’s book. May gifts of words and heartfelt prayers encourage all those with broken spirits. Praying and believing with you, Katie and Susan.